Although I'm tempted today to wallow in a post-Super Bowl stupor, I've decided to concentrate on something happier. Valentine's Day is around the corner, and I figured we could all use some encouragement for our hearts and souls. 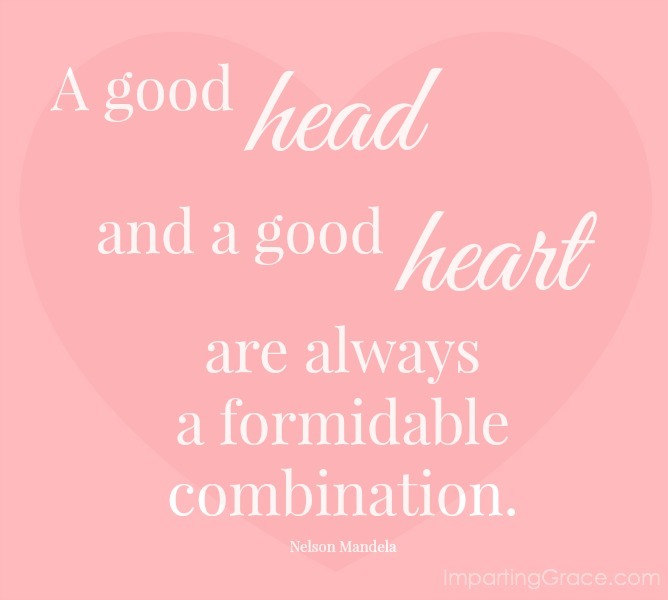 That's what I aim to have: a good head and a good heart. Like bacon and eggs or cookies and milk--they're both good, but they're better together. How are you preparing for Valentine's Day?